Lani's on the Beach - OLD BAR "one of the 5 best coastal pet friendly destinations in Australia"
Lanis On The Beach had another great Christmas and new year with many new families coming to have their holidays here as well as the regulars returning as always, The most amazing thing is the kids are growing so quick from year to year and you really have to keep up. Thank you from Wendy Fizal and staff for a great time. Please leave face book experiences and share your memories. The great news also is most of Old Bar beach is now leash free. Good to see that people who make the rules understand how people with dogs can now feel very very welcome at Old Bar and Lanis On The Beach(Conditions apply). So find time to visit this part of the world because you will not be dissapointed. 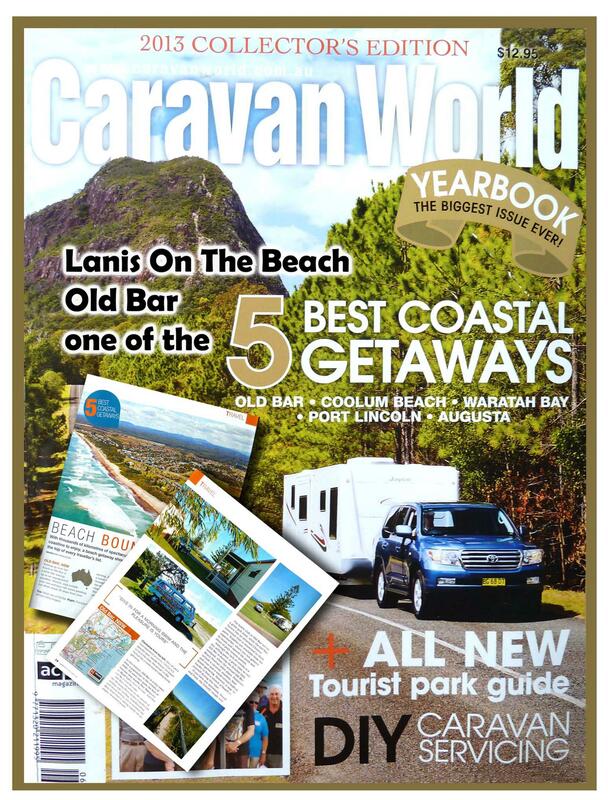 Lanis is a member of Top Parks, offering a choice of holiday accommodation and for those who choose to travel with their own Caravan, Motorhome or RV large spacious sites with the option of a few sites with their own personal bathroom. 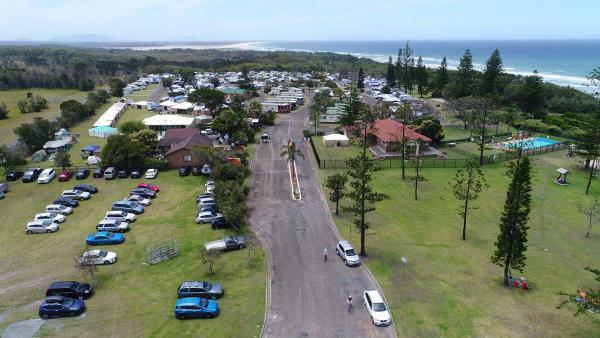 For the tent camper who wants that beachside camping experience then our large grassed sites are waiting for you. Whether it be business, pleasure, a weekend away or for your next family holiday, come and enjoy the many attractions of the Manning Valley area, the facilities of the park and Old Bar surrounds or simply relax and savour the beauty of Old Bar Beach, right on the doorstep of the park. Thank you for visiting our website. Should you have any queries, contact us.